Zeke Tenhoff of the Discovery Channel show Bearing Sea Gold opens up about life and how everything had to fall apart in order to fall into place. He gives nuggets of information about the upcoming season of Bearing Sea Gold where he talks about the transformations that occur on set in his own personal life. Zeke is only 26 years old, in the public eye, has been in jail, has abused alcohol, has mounting debt, but makes a commitment on air to persevere and make it. Next season he is aiming to become a millionaire. Be inspired by the comeback kid of Bearing Sea Gold. 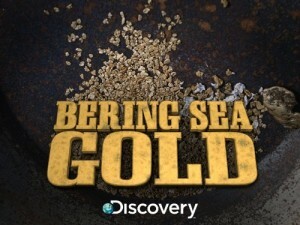 Bearing Sea Gold airs on Discovery Channel Friday’s at 10 pm Eastern.